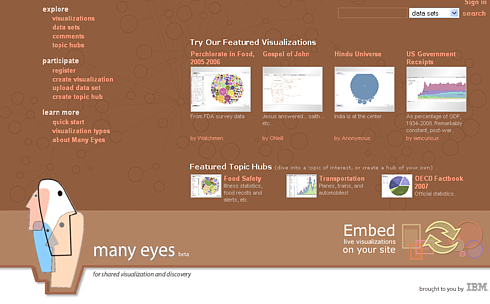 Many Eyes is a free site where anyone can upload, visualize, and discuss data. It is an experiment created by the Visual Communication Lab. 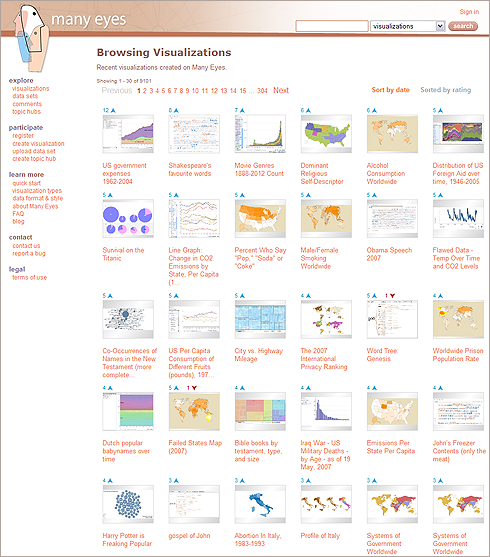 "Emerging Graphic Tool Gets People Talking." Martin Wattenberg and Fernanda Viégas. Harvard Business Review, May 2008. The idea for the site came from experiences we both had in which visualizations had an unexpectedly strong social component. The best way to learn more is to visit the site itself, or follow the links at left to academic papers and online presentations.